With the LANCOM Wireless ePaper technology you can experience a real world’s first! 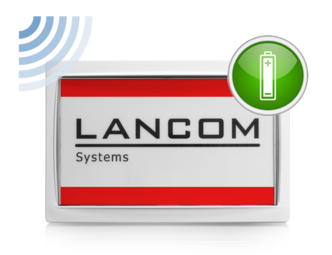 The innovative LANCOM access points of the E series allow professional WLAN coverage combined with the wireless update of radio-controlled, battery-operated displays. Thanks to this optimal combination of single components, the seamless and parallel operation of all radio applications is guaranteed. LANCOM Wireless ePaper Displays grant a flicker-free view from any angle. As a result the contents are always perfectly readable in ambient light. In addition to that, the Wireless ePaper technology requires very little energy since it only requires power when the display content is changed. Thanks to the optimally synchronized technology in the new LANCOM access points of the E series, the trouble-free and parallel operation of WLAN, the radio-based update of LANCOM Wireless ePaper Displays, and iBeacon technology is guaranteed. This combination of parallel radio technologies in only one access point is a real world’s first! The update of LANCOM Wireless ePaper Displays is based on an innovative radio technology with extremely low power consumption. With this world’s first technology and the active avoidance of interferences in the radio field a very long battery lifetime is achieved. 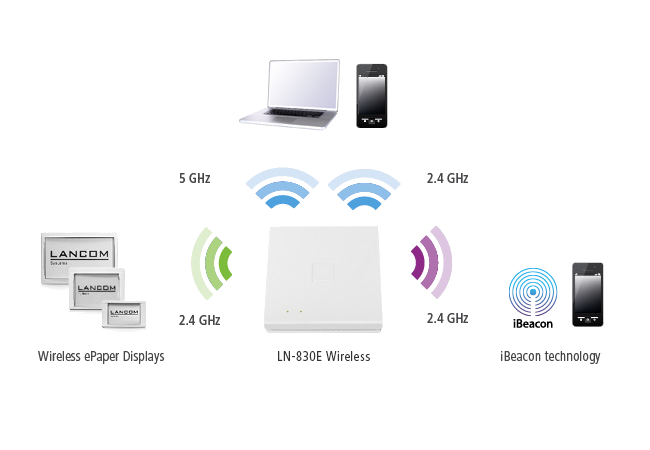 With the special LANCOM E-series access points, matching displays and the server license, customers get a complete solution for professional Wi-Fi coverage and, at the same time, wireless updates of radio-controlled LANCOM Wireless ePaper Displays. The entire infrastructure is from a single source, so that no separate devices for Wi-Fi applications and the control of Wireless ePaper Displays need to be obtained. This innovative integration of both radio applications into one device not only ensures the lowest operating and installation costs, but also the security that the two 2.4 GHz radio technologies can operate in parallel without interferences. The features of the new ePaper generation have been extended by an intensive color scheme, so that now special hints and information can be displayed in a strong red. The special LANCOM access points of the E series are capable of updating LANCOM Wireless ePaper Displays as well as providing professional WLAN. 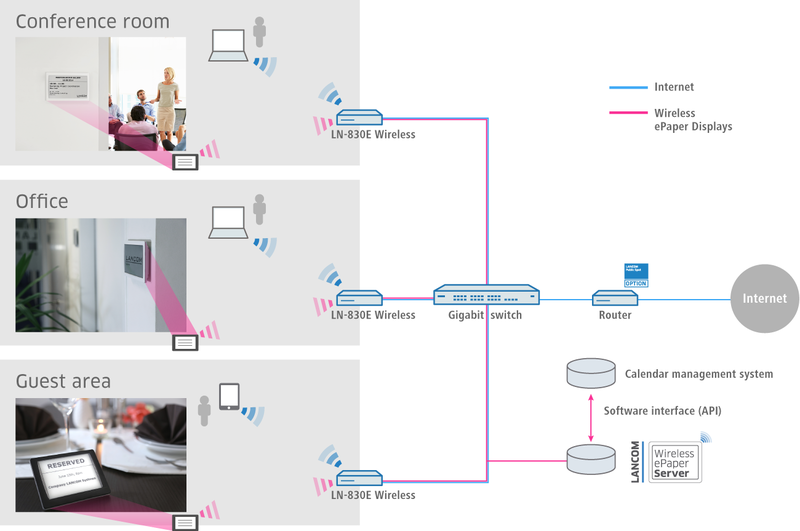 Thus these innovative displays can be seamlessly integrated into the existing network infrastructure. This is the ideal and unique combination for lean and efficient infrastructures. Additional information on Wireless ePaper Displays can be found in our FAQ. 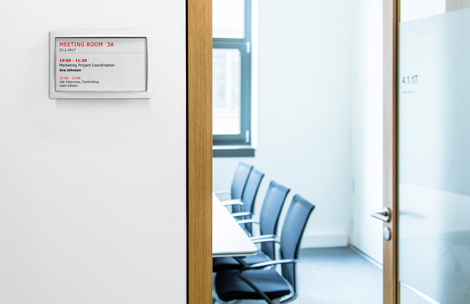 With the new Wireless ePaper series LANCOM combines professional WLAN coverage, the update of LANCOM Wireless ePaper Displays, and iBeacon technology. An all-in-one solution in only one infrastructure.